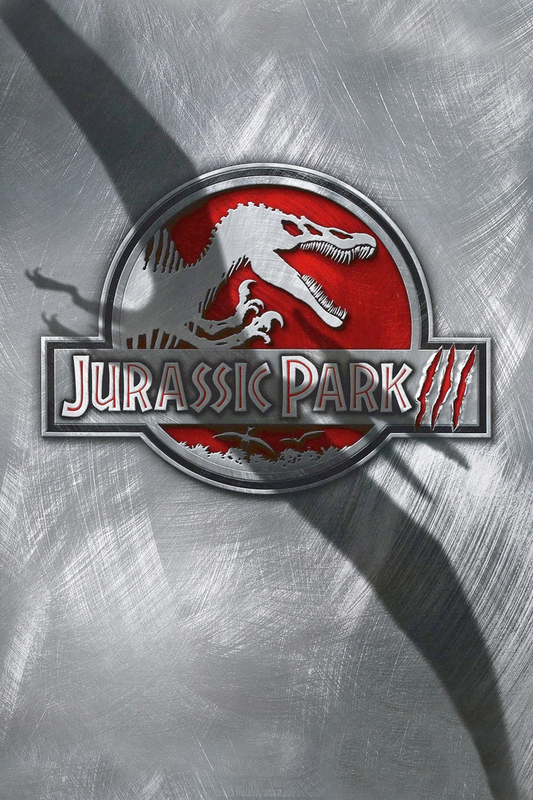 This weekend I rewatched Jurassic Park III (2001). Seeing how I'm in the middle of an epic Jurassic Park tear, it seemed only fitting to revisit all the movies. Sure, JPIII is my least favorite installment of the franchise, but it does A) mark the glorious return of Sam Neil as the awesome Dr. Alan Grant, B) introduce a new superpredator in the Spinosaurus, and C) have the terrifying aviary scene with the Pterodactyls. JPIII is the first movie in the franchise not to have been directed by Steven Spielberg, nor based on a book by Michael Crichton. It does, however, take some scenes from Crichton's Jurassic Park. 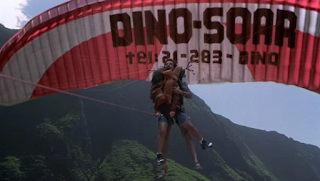 When their son Eric Kirby (Trevor Morgan) disappears during a parasail tour of Isla Sorna, the "wealthy" Paul (William H. Macy) and Amanda Kirby (Téa Leoni) sneakily convince Dr. Alan Grant (Neil) to give them an aerial tour of the island in exchange for a large sum of meony. On the plane, Grant learns that the Kirby's plan to land on the island, and he gets knocked out when he opposes this. He wakes up to the sound of Amanda using a bullhorn to call out for her son, which attracts a Spinosaurus that kills one of their men and causes the plane to crash in some trees. The party now has to find Eric and find a way to safety. While director Joe Johnston does an admirable job, he lacks in creativity and, understandably, doesn't quite fill Spielberg's shoes when it comes to creating an awe-inspiring and eloborate dino movie. The 92-minute Isla Sorna chase flick still contains some thrills, but they are far and few between, and the characters, save Grant and Eric, are so irritatingly dull that they become annoying. And don't get me started on the fight between the Spinosaurus and the T-Rex, which has to be one of the most anti-climatic letdowns of all time. Overall, JPIII is a fast-paced, intense, loud, entertaining, third-generation thrill ride. Oh, and hat tip to the writer who worked in "Dino-Soar" as the name for the parasailing tour. You, sir, are a genius.